I have not been able to write in some time. For those of you following the progress of the Techniques for Effective Technology Integration book, please know that I am still working on it and intend to get back to it relatively soon. It has been difficult balancing the needs of full time educational/IT consulting with a full time IT Coordinator position. While I can do this, it has severely limited time for writing in the short term. This post is somewhat more tech focused than most of my post, but seeing as how much time I have been spending in IT lately, I wanted to share something that has proven indispensable to me; my extremely customized flash drive. If you want to setup your flash drive similarly, you will need a flash drive or memory card of at least 16 gb. I am using one from PNY, but the brand does not much matter in this scenario. I have spent a lot of time customizing the flash drive to get it exactly where I want it, so I really do not want to lose it. However, flash drive are portable and prone to getting lost over time. So, to increase the chances of someone returning it, I am making use of two tips I read on Lifehacker. I renamed the flash itself to my cell phone number, so whenever someone plugs it in, the first thing that pops up is my cell phone. Second, I added a text file called “Contact Info: Reward if Found” with my cell phone number and email address. 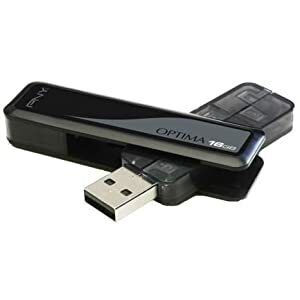 If you spent any amount of time in Linux operating systems, then you will find Pen Drive Linux to be a very useful site. Specifically, one of their tools has been immensely useful to me and has allowed me to install operating systems on computers with broken CD drives, recover files from operating systems that have crashed, modify registry and boot settings to fix broken computers, and repair infected computers when viruses have completely taken them over. I am referring to MultiBootISOs. An ISO is a disc image file; usually, you burn 1 to a CD or to a flash drive to boot from it. MultiBoot refers to being able to utilize more than 1 ISO at a time. MultibootISOs is a small program that will format your flash drive so that it can boot to more than 1 ISO. When you turn on MultiBootISOs, you select which operating systems or tools you want to install. MultiBootISOs will download them for you 1 at a time and configure the flash drive to be able to boot from it. Most people will not need to, but I have edited the code to menu.lst file that MultiBootISOs generates so that all of my operating systems are in alphabetical order so that they are easy to find. I currently have 20 different systems installed. You can find links to all of them at Pen Drive Linux. AVG Rescue CD: a tremendously helpful antivirus scanner. Sometimes, viruses will disable a computer’s virus software, so this is essential. Clonezilla: A powerful tool for making exact copies of a computer. DBAN: DBAN will permanently erase all data on a computer so that it is unrecoverable. Normally, when you wipe your computer, it can still have credit card numbers and other sensitive information that skilled users can access. DBAN prevents that from happening. DSL: DSL, or Damn Small Linux, is an operating system of only 50 mb. It is so small that it can easily be used on even very old or limited computers. GParted: GParted is a partition editor. It allows you to create, delete, resize, and reformat any partitions on the computer. I use this a lot. Jolicloud: Jolicloud is my favorite netbook operating system. I combines traditional desktop applications and web apps for a really compelling experience. It is based on Ubuntu, so it is very sound. Kaspersky Rescue CD: This is another virus scanner. Kubuntu: This is a variant of Ubuntu (see below). Memtest86+: This is a diagnostic tool for memory. Offline NT Password and Registry Editor: If you need to change a registry entry but the system is inaccessible, this is a good tool. OphCrack XP: Users forget their passwords regularly. If you are not managing users through a network (such as Active Directory), then you can reset the password manually with this tool. Redo Backup and Restore: This is an easy tool for simpling make an exact backup of your computer and restoring it if you need to. Sugar on a Stick: This is the operating system used in the OLPC movement. System Rescue CD: Similar to the other rescue CD, but it is good to have options in case one does not work. Ubuntu 10.10, Ubuntu Netbook Remix, and Ubuntu Rescue Remix: Ubuntu is my favorite flavor of Linux and I run it on my home computer. Netbook Remix has a great interface for smaller screens and Rescue Remix has plenty of tools to help fix broken systems. Ultimate Boot CD: This has a ton of diagnostic and rescue tools. Xubuntu: A lightweight variant of Ubuntu for older computers. Windows 7: My employer uses Windows 7, so I have a copy if I need to reinstall it. Remember, if you want to use MultiBootISOs, you will want to install it before anything else on the flash drive because it will delete everything that is on it during the formatting process. When you are working at a school or corporation, you often will not have permission to install the programs that you need to be most productive. Portable Apps allows you to install and run many excellent programs right off a flash drive. You simply install the Portable Apps Suite and then any programs that you want to use. Here are some of my most used Portable Apps. Google Chrome: Google Chrome is my favorite web browser and the program I spend the most time in. Thanks to Google enable syncing, whenever I change a plugin or setting at home, my portable Google Chrome instantly reflects the change so I always have the same browser. Mozilla Firefox: For a long time, Firefox was my favorite browser. It stills renders some pages better than Chrome and is a great backup browser. 7-zip: A great archival and extraction tool. Audacity: A powerful audio editor. Eraser: Securely and permanently erases data. Filezilla: The best FTP client for Windows and Linux. FIMP: The best free image editor; it even rivals Photoshop. Keepass: I have all my passwords securely stored wherever I go. Notepad++: I do most of my programming in this program; it is an outstanding text and code editor. Open Office: A full-featured office suite, similar to Microsoft Office. Skype: I do a lot of videoconferencing and meeting in Skype. It is very easy to use and convenient. Sumatra PDF: I can view PDFs easily even on computers that do not have Adobe Reader installed. uTorrent: uTorrent is a good, small bittorrent client. I rarely use bittorrent, but occasionally I do need to download something legally, such as a free Linux OS, and bittorrent is the easiest route. VLC: VLC is an excellent media player that can play nearly any audio or video file. XAMPP: XAMPP is a virtual server that makes debugging web applications simpler. It has MySQL, Apache, and PHP. You can find more apps at http://portableapps.com/apps. My flash drive is very important to my work, so I keep some tools on hand to make sure it is running well. The two most important are MultiBootISOs, in case I need to add another operating system, and WinContig. Since the flash drive uses the FAT filesystem, it can get fragmented relatively easily. WinContig defragments it so that it stays working well. I have several programs on the flash drive that I may need to install, including Office 2010. If I need to reinstall a lot of programs, I have a Ninite installer that lets me install nearly every program I need automatically. How do you make your flash drive useful? Do you know of an easy way to add your own iso images when using multibootisos? I need to be able to use Ubuntu 8.04, Centos 5, Debian Lenny etc. UNetbootin allows to add your own iso’s but doesnt have the simplicity of allowing you to add more than 1 ISO like multiboot. There isn’t a super easy way. What I do is open menu.lst in your text editor and look at the other entries. Ubuntu should be easy. Just have it install 10.10, then the 10.10 iso and replace it with the 8.04. Change the Title and the name of the iso in menu.lst. The others take some trial and error. Multiboot can install Debian Live, but I do not know which version. You can install, switch isos, and change the menu.lst entries for that as well. I am not as familiar with Centos; it takes some trial and error sometimes to get the configuration right in menu.lst for them to boot. Try searching for Centos and Grub4Dos; I’ve gotten some to work that way.